DLT's cyber thought leadership partner, Institute for Critical Infrastructure Technology, recently released publication entitled “Next Generation Defenses for a Hyper Evolving Threat Landscape: An Anthology of ICIT Fellow Essays Volume I,” is a compilation of essays written by ICIT Fellows and Contributors including DLT Chief Cyber Technologist, Don Maclean, which offer a wide-ranging look at some of the most impactful cybersecurity defenses that should be leveraged by public and private sector organizations. Through industry insights, tips, best practices, agency use cases and an interview with DLT's Solution Sales Professionals, make DevOps a reality with this new guide. Experts from DLT, AWS and Evident.io exchanged perspectives on what NIST 800-53 compliance means for government agencies and private organizations alike. 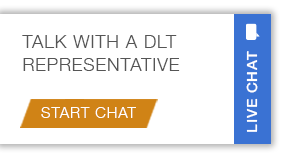 Join DLT for a discussion of going to the cloud and what you can do to assess the readiness of your own technology, staff and clients for the move. Today more than ever, there is a need to protect your IoT devices from unknown vulnerabilities. The Gartner IoT Market guide provides insightful recommendations security professionals should take when considering an IoT security vendor. Without a cutting-edge IoT security solution—one that begins with agentlessvisibility—IoT devices are invisible (and potentially unwanted) guests on yournetwork. Video surveillance systems, projectors, smart copiers and printers,industrial controls and HVAC systems are common in most businesses today. Once a federal system has been categorized as High, Medium or Low withConfidentiality, Integrity and Availability, the next major milestone in most RiskManagement Framework (RMF) processes is to identify all the security controlsthat will be required to support compliancy for the architecture. ForeScout IoT EnterpriseRisk Report explorescommon IoT devicesthat make organizationsvulnerable to dangerous –if not disastrous – attacks. ForeScout CounterACT™ now provides bi-directional information sharing withMcAfee® Threat Intelligence Exchange over the McAfee Data Exchange Layer.With this integration, customers can leverage system-wide threat intelligencefrom all McAfee security components, and protect their networks fromunmanaged and personally owned (BYOD) Windows devices.